Originally published on Type A Yoga blog, Oct 8, 2012. Recently I delivered a guided meditation at our 2nd annual Time for Yoga event celebrating Yoga Month. I have always struggled with meditation myself, so I wanted to do something that held the principles I wanted to share but features phrases or ideas that have resonated with me in the past. I combined a number of meditations I have read in the past, and wrote new sections that reflected my personal experiences in these meditations. Since this event, people have asked about the meditation, and I’d like to share some of the thought process and tradition behind it. One meditation that really clicked for me was Jack Kornfield’s meditation on forgiveness, found here. I was at an all-day retreat with an MBSR group led by Wendy Beckerman and a word she used while reading Kornfield’s meditation really resonated with me. Forgiveness of myself has always been a struggle for me, which then makes forgiving others equally challenging. When my teacher read the meditation, she added the word “unskillful.” Frequently I have harmed others, but rarely out of pain or malice. The childish “You hit me so I’ll hit you back” types of arguments become more and more rare with aging, but I often feel as though I could have handled something or phrased something better. It has been hard to shake those feelings in the past because I would confuse accepting the fact I am imperfect with accepting complacency. In the moment I heard the instruction to forgive myself for being unskilled, it reframed the way I interact with others in a judgment-free context of requiring guidance and education, rather than punitive guilt. As an educator, I was able to accept my foibles and forgive them, which then allowed me to extend that forgiveness to others more easily. Once I was able to forgive myself and others, I was more able to approach the world viewing other people’s intentions rather than the consequences of their actions alone. This allowed me to see that more often than not, people don’t harm others intentionally. Usually there is a need they are trying to meet and the strategy they employ to meet that need becomes something they didn’t anticipate or intend. The stepped nature of beginning internally and then extending the state externally is repeated in the traditional metta meditation. Metta is a word commonly used in yoga and Buddhism usually translated as Lovingkindness (usually written as all one word). I originally read about this practice in Mindfulness in Plain English by Bhante Gunaratana. (Portions of this work are available online here). In this meditation you attempt to cultivate the feeling of metta within you and maintain it. Then you can begin to apply it toward your loved ones and acquaintances. Once you have been able to expand in these easier directions, you attempt to apply the feeling of lovingkindness toward strangers and then ultimately your enemies. The reasoning behind this isn’t all rainbows and lollipops. The goal isn’t really to try to psychically transmit these feelings to others to somehow alter them; the change is entirely internal and a part of a longer process toward equanimity. In Buddhism, metta is one of four characteristics known as sometimes known as brahmavihāra,sometimes translated as the four abodes. While cultivating a positive attitude will often result in sowing benefits in your interactions with others, it is the idea of the abode I like to focus on. In addition to getting back what you give to others, some philosophers believe that by training yourself to maintain certain attitudes you prevent unproductive and harmful attitudes from taking hold of your perspective. Patanjali addressed this idea in the Yoga Sutras, sutra 2.33 talks about pratipaksha bhavana or the cultivation or realizing of opposite thought. (This idea is mentioned in my earlier article on “Yoga for the Holidays”.) Patanjali also echoes the nature of the four abodes in sutra 1.33: lovingkindness (metta in Pali, maitri in Sanskrit), compassion (karuna), sympathetic joy (mudita), and equanimity (upekkha in Pali, upeksha in Sanskrit). These will allow the practitioner to avoid their opposites: hate, greed, jealousy, envy, bias, anxiety, etc. I reviewed a number of different metta meditations. As I read through one dedicated to 9/11, I saw the addition of other “abodes” into the process. I considered the nature of forgiveness as it related to compassion and love. I believe that frequently we find things in others that reflect things about ourselves that we don’t like, which leads to a lack of empathy, compassion, and forgiveness. As a result, I decided that for my meditation, I wanted to encourage a fertile soil grounded in forgiveness and, as a direct result, compassion and that metta and other principles would grow from that foundation. I included sentences that I felt illuminate ideas that might not be familiar to some of our guests. Equanimity is a challenging goal for any yoga practitioner. In English equanimity comes, as many words do, from Latin by way of French. The idea is equal animus, a word that is associated with mind, soul, rational intellect, that in English takes on the idea of disposition or attitudes. The practice of equanimity is to not allow the currents of fortune to push you off course; to stay even in temperament regardless of what obstacles or blessings come your way. 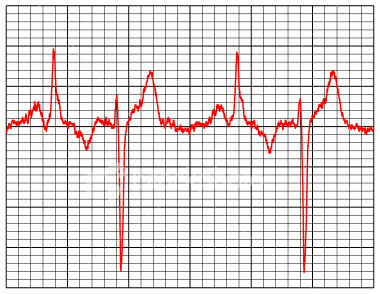 Think of an ECG, the cardiograph that you see in medical dramas that measures the heart. Imagine that you had a beeping machine that measured your stress level, your joys, your failures, your tragedies and triumphs. The chart’s peaks and valleys would spike sharply. What if you could train your mind and heart to recognize in each moment that the moment was merely one of many, that it would pass, regardless of the the joy or pain. What if you were able to be less attached to your expectations of the future, which either disappoint or surprise but are ultimately nothing more than speculation? What if you were able to disconnect the associations of past experience from the moments of the present so that you could intake the current experience free from burden or baggage? What if you could guarantee that, no matter what storms came your way, the aspects of You which are the most essential and unchanging would remain untouched and unharmed? That is the goal of equanimity. That through practicing virtues toward yourself, you are more able to both model behavior to others and also accept others as they are now, even enemies. By forgiving yourself and others, you are more able to be compassionate toward them, and to approach them grounded in positivity. That being mindful of how you approach the external is affected by the internal will help you to be less afflicted by your moods and attitudes. That by living in the four abodes, you avoid being influenced by negative attitudes that do not serve you. I carefully chose my words when I wrote the phrasing at the end: “May our hearts be sheltered in the abodes of light and warmth so that the dark and cold cannot find a home.” With these words, I remind myself of why I practice, and I am able to remember what I want for the world around me. I may not be able to directly cause the change I wish to see in the world, and it is the function of equanimity to accept that. In practicing equanimity, I have to remember that I have no control over the actions of others or of the resulting consequences they may have to face. I can only manage my own actions and responses, and encourage others to do the same. May we all cultivate lovingkindness, compassion, sympathetic joy and equanimity.